Oswegatchie has been prioritizing the following items for financial support. Certain items are cyclical and others are onetime items. As you read through the list, look for any explanations that may intrigue you. Even though Oswegatchie has had a great run of success over the last 15 years, we realize that success is a combination of hard work and luck. We hope that by clearly communicating our financial priorities, your help will hedge our hard work into even more results. We want to thank everyone that has helped make Oswegatchie a better place. If you remember the dark days when camp was going bust, you hopefully have noticed the progress. If you were not around when everything was falling apart, trust us when we say Oswegatchie has come a long way! This is a list of items we are looking to procure. We don’t need brand new tools or items, just functional items that are ready for work. If you have something in the back of your garage or shop and it’s on this list, we could use it! This annual event is crucial for overall Oswegatchie productivity. With every dollar that is not spent as an event expense, we are able to reinvest into Oswegatchie. We have opportunities for "Title Sponsors", prize sponsors, and meal, entertainment, and shirt sponsors. Our maintenance building was intended to be switchable from one work space into another with cabinets and tools on casters. We could turn the shop into tractor repair and them into a wood shop and then to a painting space. We are looking for tools or equipment to use in this new building. If you have tools sitting in your shop that are not being used, but are in good shape, think about sending them our way. We could use a drill press and bits, bolt cutters of different sizes, deep socket wrench sets, leaf rakes, pointed shovels, chainsaw / logging equipment, etc! Oswegatchie started maple sugaring back in 1987 as a way of creating more revenue. Since then, a tremendous amount of change has happened in our sugar bush operation. Constant tweaking of the system has led to increase the trees tapped and syrup produced. Our taps have grown from 350 taps to its current peak of 1200. Yearly maintenance is always an expense as we replace damaged lines or expand new ones. Any size donation welcome. The Oswegatchie sugaring operation has taken major leaps forward in the last 6 years. With having consistent staff at the evaporator, we have dramatically increased production and now have inventory to serve and sell. The list below is prioritized top to bottom which also reflects cost. The sugar and cream makers are both items that could be rented with our kitchen so other producers could benefit. Crandaker Crossing from Deer Point to Lepine Ridge, now a suspension bridge. The covered bridge at what is now called Otter Way. Lost sometime around 1992. These bridges all hold many Oswegatchie memories, but now we can build it bigger and better with modern tools and resources that are now affordable. 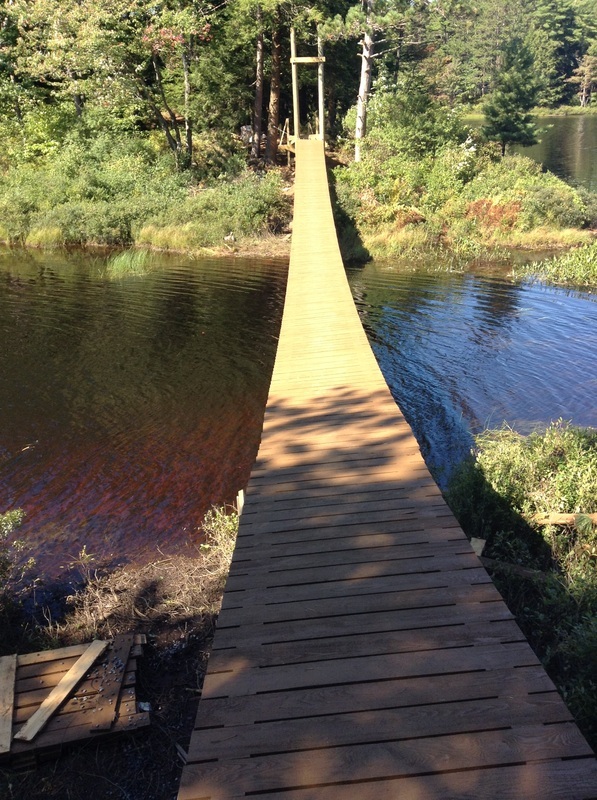 We hope to renovate the floating bridge at the ropes course and reestablish a bridge over the water at Otter Way (the location of the Lepine Covered Bridge). Sponsors are welcome to contribute in small or large ways. Let it be known that these bridges magnify our abilities to offer unique programs and access remote parts of the property. We have already seen an increase of people travelling around Long Pond on foot and ski. Nearly finished new suspension bridge at Deer Point! 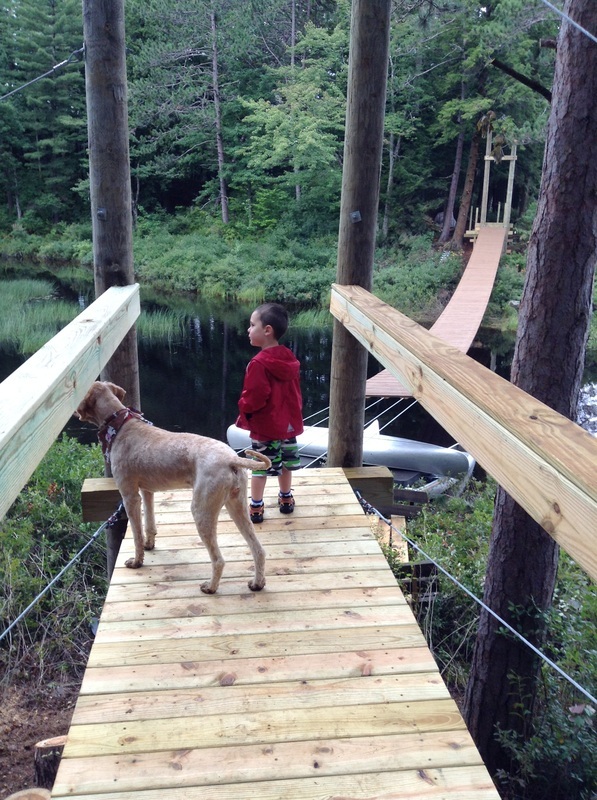 Finished suspension bridge at Deer Point! This bridge looks a little wild, but has been "solid" for us since 1993. This bridge has gotten used by a countless people, dogs, and wildlife! Donations Are made securely online! Getman Lodge is used from late April to early October for many things. By upgrading the electrical in this building, we make it more hospitable 3 seasons of the year.The fireplace is now fully functional adding to the building's abilities. Any serious interests should contact the Executive Director of the New York FFA Foundation to further the discussion. Sutliff Lodge is the headquarters for Oswegatchie. Groups use it for lodging, our offices are there, and a family lives in the apartment. 7 months of the year, keeping the lodge warm is not that difficult, but over a long winter we can loose a lot of heat into the attic. An energy expert recommended insulating the attic for the biggest saving in heat and energy. This is a huge opportunity with immediate returns on investment for years to come. You can buy bags to contribute incrementally on this project. Click the donation button below and when you cash out you can decide how many bags you want to to sponsor. Sutliff Lodge has always needed a better entrance for people with disabilities. Our current ramp is only good for the warm months of the year. Following 2 other improvements in 2012, we were quoted $32,000 for a proper deck, ramp, with roofing on the front of the lodge, extending that structure 8 feet forward. Not only does it take care of some of our entrance issues, It offers a great place for sitting undercover while still being outdoors. Any serious interests should contact the Executive Director of the New York FFA Foundation to further the discussion. 11. 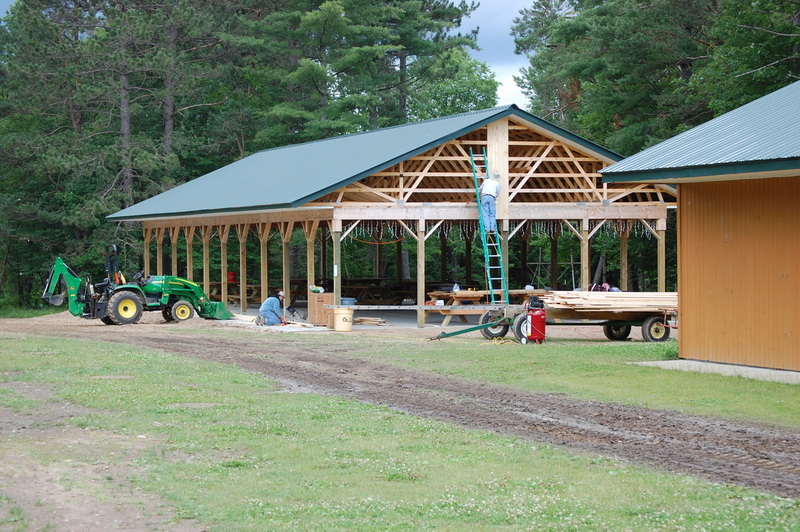 Structure Naming Rights Available on Maintenance Building ($50,000) In 2011, Oswegatchie was able to raise a new maintenance structure on its property. This additional 1800 square feet has allowed the rearranging of resources on the property to better serve campers and customers. 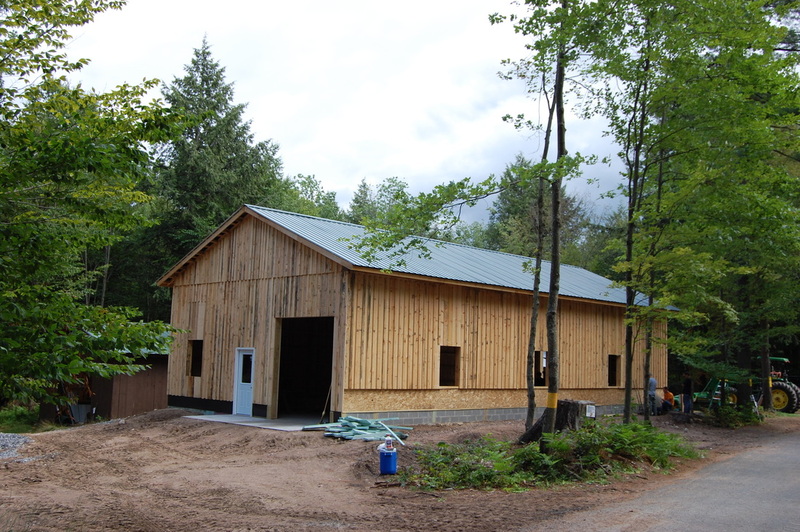 Additionally, the added work space is perfect for prefabrication of projects, work on tractors, winter storage of big equipment, and more space for conference workshops. 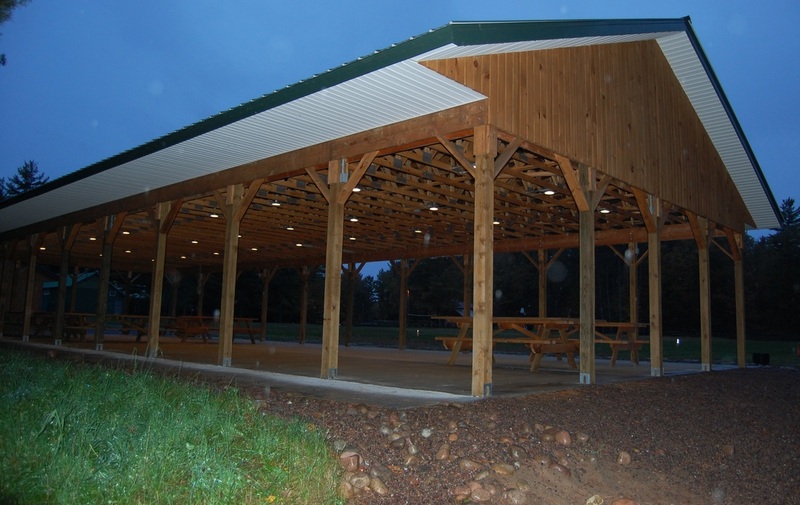 The money already spent on this structure came from teacher donations and Oswegatchie operating budget. 75% of the work on this building was done by volunteers and FFA advisors. The money from naming rights would be used to outfit this structure with tools, tool storage, advanced storage solutions, and finishing the interior. Any serious interests should contact the Executive Director of the New York FFA Foundation to further the discussion. 13. Structure Naming Rights Available on Pavilion ($50,000) The Pavilion that is now a part of our athletic field was an important addition. 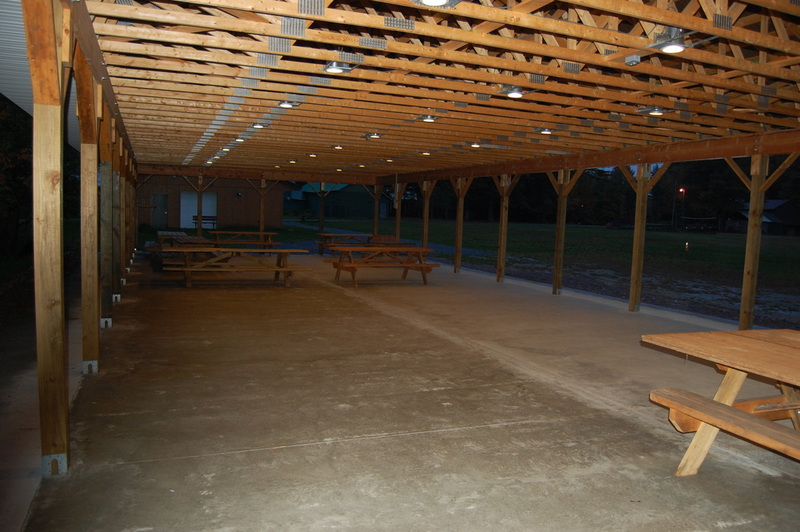 Now we have cover from the rain, a multi-use space for groups, and additional rental space. It has changed the way we run programs throughout the year. Summer camp dances are even better than they were in Getman. Many ropes course programs start undercover. Any serious interests should contact the Executive Director of the New York FFA Foundation to further the discussion.